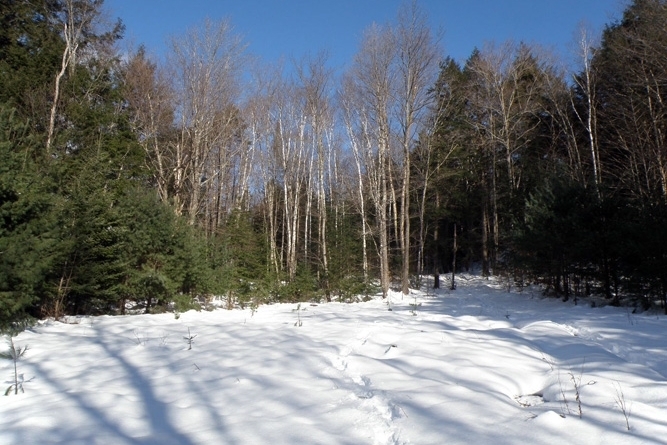 The property is an easily-accessible central Vermont woodlot that has been well managed by the same family since the 1950s. The property is suited to the continued growth and harvest of forest products, recreation and development of a camp from its established access road. 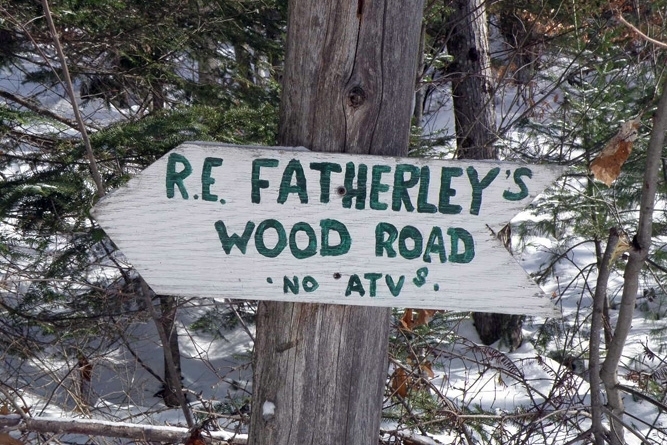 The property is located in east-central Vermont, quite close to the Connecticut River Valley, the New Hampshire border and Interstate 91. The land sits near the height of land on the first rise west of the Connecticut River Valley. Just to the east are the many farms within this valley. Locally, forestland dominates the landscape; however, not too far to the west are the small farms of the Waits River Valley and several of its nearby tributaries. Near the property, scattered well-maintained homes dot the town road. Less than a mile up the road is the Wrights Mountain trailhead, providing access to many miles of established hiking trails that terminate on Wrights Mountain, where great views from the peak’s ledges unfold. Bradford (population 2,797) is the largest nearby town, located 6 miles to the east and hosting a supermarket, area schools and many businesses, including the well known outdoor gear store Farm-Way. The Town of Newbury’s single largest settlement is Wells River, 13 miles to the north. Boston is a 2.5 hour drive to the southeast. 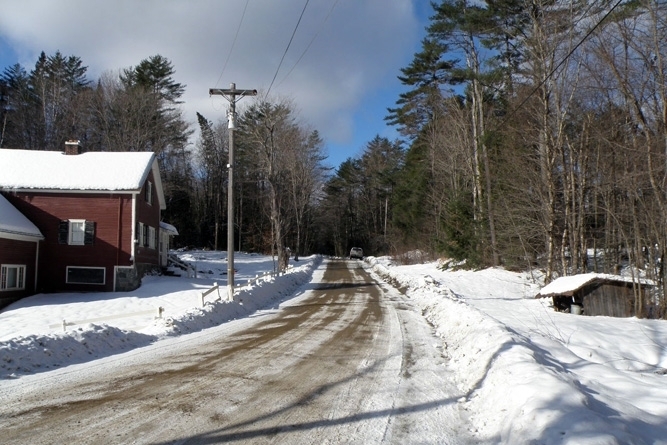 The property’s survey indicates 200’ of road frontage along Wrights Mountain Road, a town-maintained gravel road. 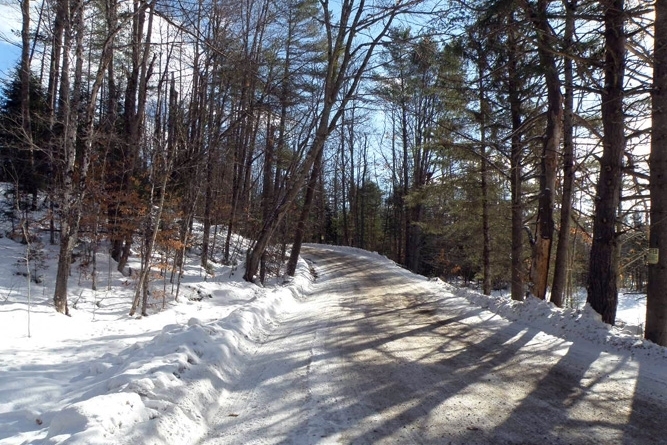 An established driveway exists off the town road leading into the property’s center. This road also serves as the right-of-way for the adjacent town forest. Electric power and telephone service run along the town road. The entire property is forested, with the exception of a small clearing situated at the end of the internal access road. The land’s narrow spur runs along a small stream on its western side, with steeper slopes to the east and west. Beyond the point at which the boundary widens, and the property is roughly square, the terrain here resembles an amphitheater, with a small valley at the southern end and ridges rising to the west, north and east. Soils are primarily well drained with the exception of a few spots along the stream (near the access road). Elevations range from a low point at the town road frontage at 1,120’ above sea level (ASL) to 1,420’ ASL along the land’s eastern ridge. 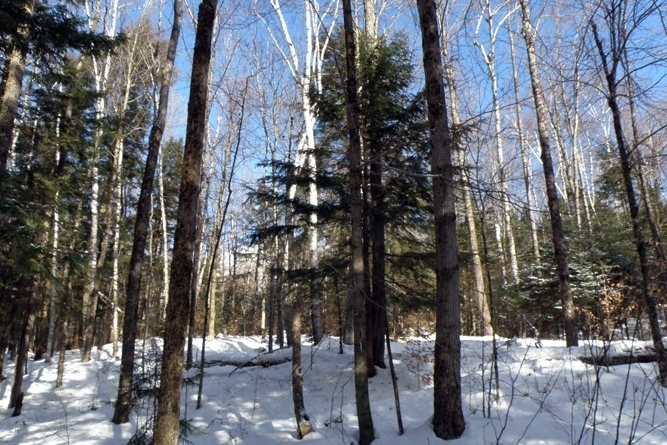 The property’s highest and best use is likely as a woodlot, producing forest products; however, the construction of a camp is a compatible use, given the established access and suitable terrain near the end of the access road. While the land has been in family ownership for many decades (since 1955), a forest management plan has not been developed. Therefore, no forest inventory data is available. Despite this, the timber resource has been carefully managed. The most recent thinning was conducted 10 years ago. The timber resource is largely even-aged and likely 65-70 years old. Full stocking levels exist throughout the forest. 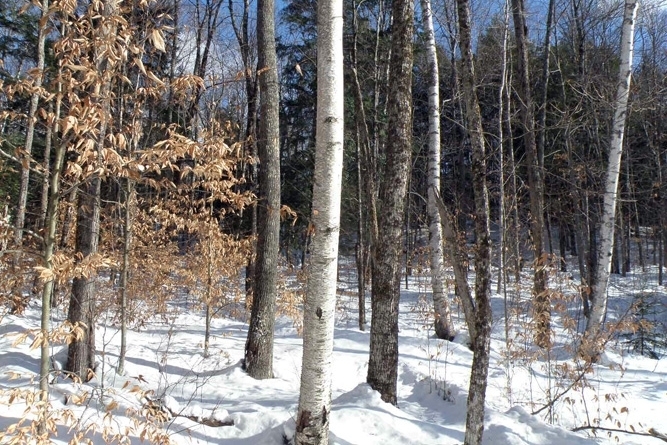 Species composition is dominated by hardwoods, with maple, ash, birch and aspen represented. 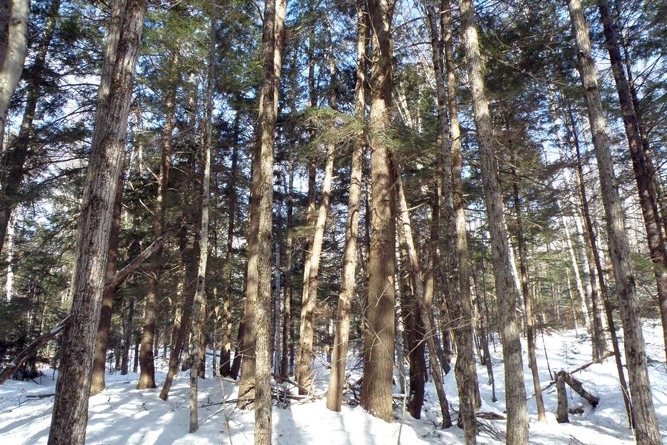 The softwoods are primarily red spruce and hemlock. A series of internal trails were created as part of the last thinning, allowing good access throughout.